AHEAD SOLUTIONS - Ahead Solutions creates egoic brands for worldwide markets. ​We are a UK registered company responsible for the creation and distribution of many brands used by individuals and organisations globally. We're a small team working incredibly hard in a number of sectors - partnering where necessary - in order to create and deliver innovative products and services backed by outstanding customer service delivery. We're creators at heart and hopefully you'll enjoy visiting some of our brands featured below. Vital ID is a world leader in well designed high-quality ID products for consumers and their loved ones. Ahead Solutions are delighted to be regular importers of this exciting brand of emergency ID brand products. You ID Me is a world-class emergency ID service that serves the medical, sports & child safety sectors. You ID Me has many thousands of users situated globally that enjoy heightened confidence when going about their lives. Our Lost Pet ID and Alert Service helps pet owners become reunited with their beloved friends. A simple tag worn by the animal helps identify the pets owner and has the capability to alert owners when they're located. GoalBand is a simple yet stylish wristband that provides dieters with a source of 'always on' motivation. 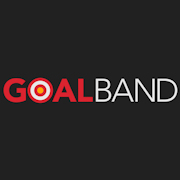 GoalBand is underpinned by a winning goal achievement system which supports people seeking to lose weight. 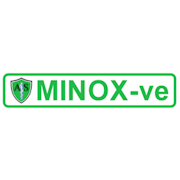 MINOX-ve is an effective hair loss treatment system used by professional hair loss clinics across the UK. 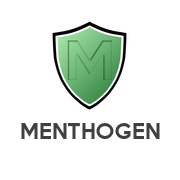 Menthogen is an effective clinical formulation that helps to combat scalp itch and irritation. Helping fibromyalgia sufferers combat muscle pain, transcend brain/mind fog and improve sleep quality by reducing insomnia. Reflective t-shirts create custom reflective print garments for the sports, mobility and business promotion sector. As well as providing our trademark MovoBright print processes as a service we have many off the shelf products.